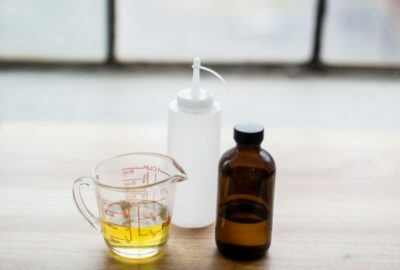 Making your own coconut oil is easier than it seems, and you can successfully make it with a few basic tools and things that you have in your kitchen! 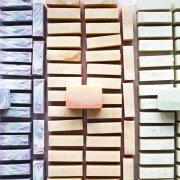 As a soap maker, it is important for me to understand the ingredients that I work with and how they are made. 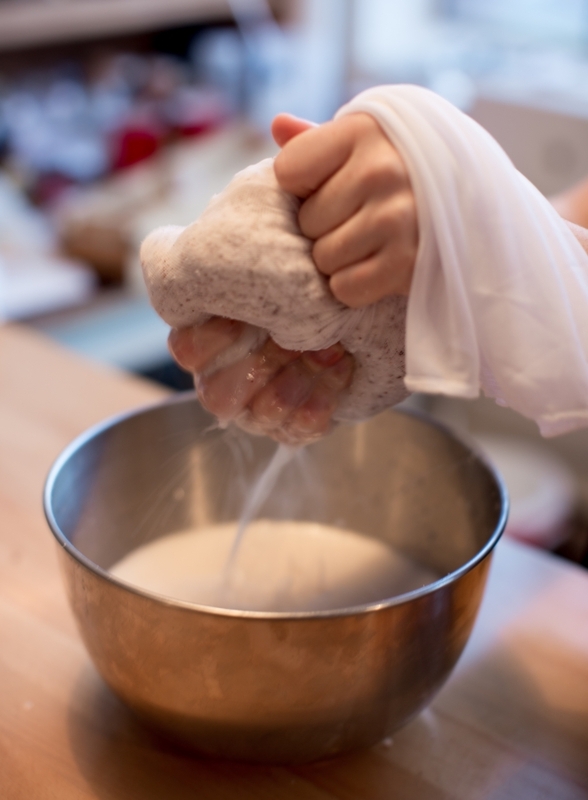 Everything I use went through a certain process to get to me in their current forms, and what better way to understand my ingredients than to have first hand experience making them. 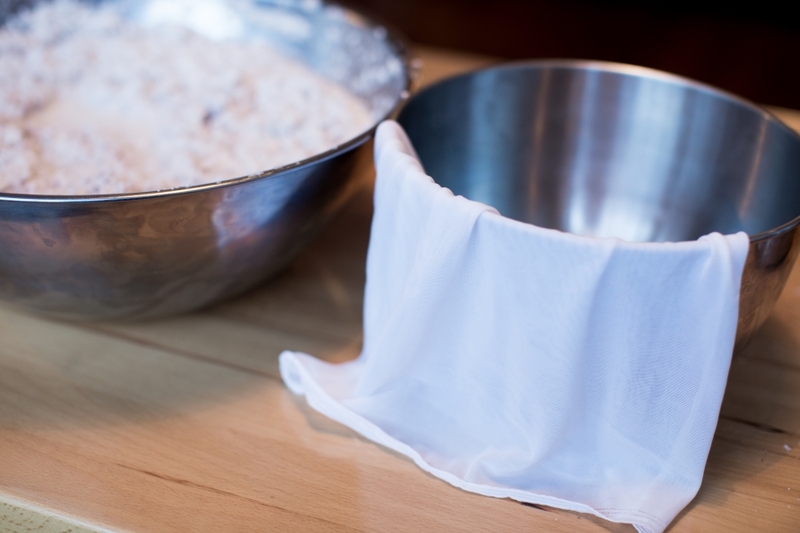 Coconut oil is not only used for soap making and according to the internet, it is pretty much used for everything, so I thought it would be great to show everyone how to make it. It’s also a lot of fun! 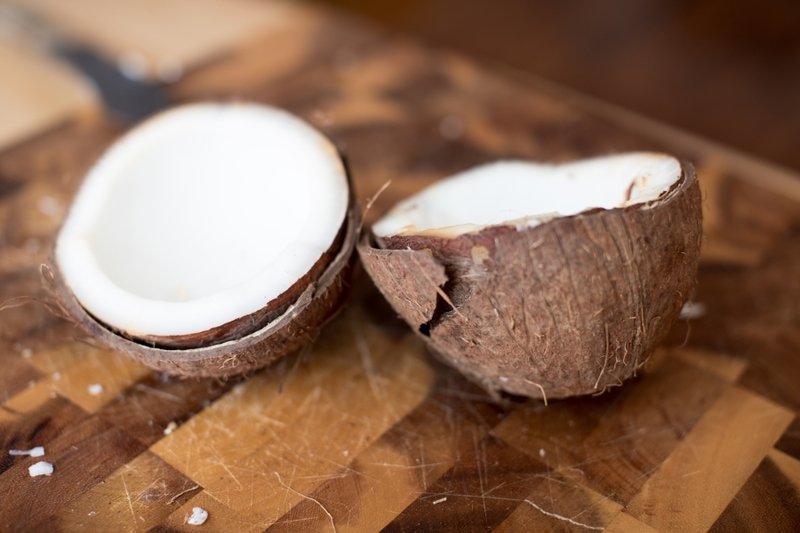 You can also use just about every part of the coconut for smoothies, baking, and cooking! Step 1: When picking coconuts, you want to make sure that they are older, not the young green ones, but the brown ones. You also want to make sure there is coconut water in them, if you don’t hear water when you shake it, don’t buy it! We don’t want to make rancid coconut oil! 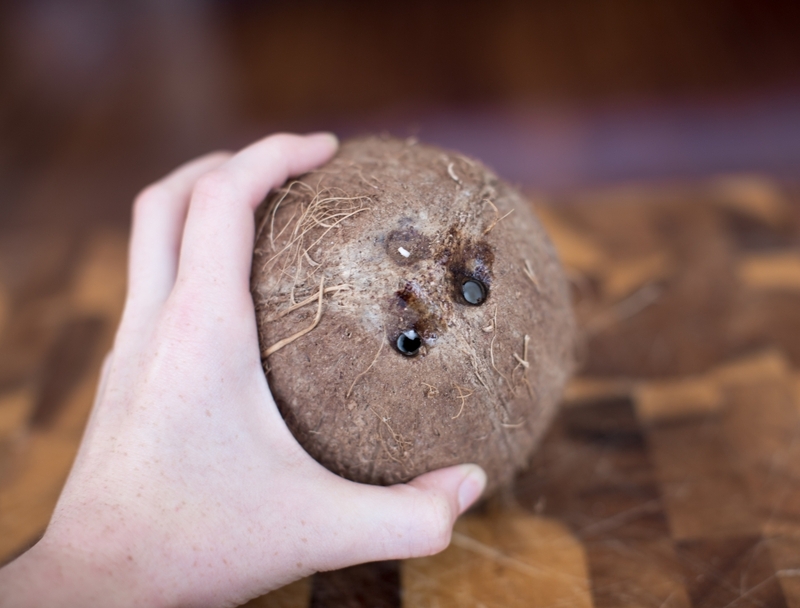 With your coconuts, you want to put two holes into the eyes. 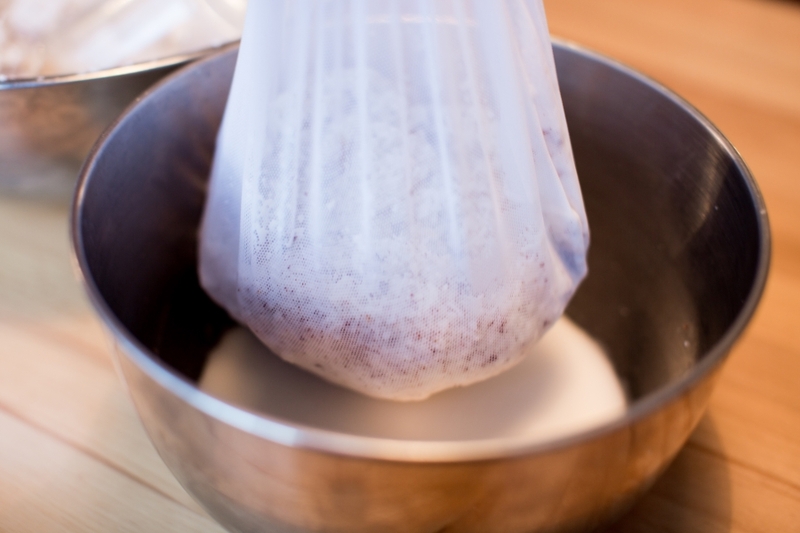 You can put one, but putting two will make it easier to drain the coconut milk. 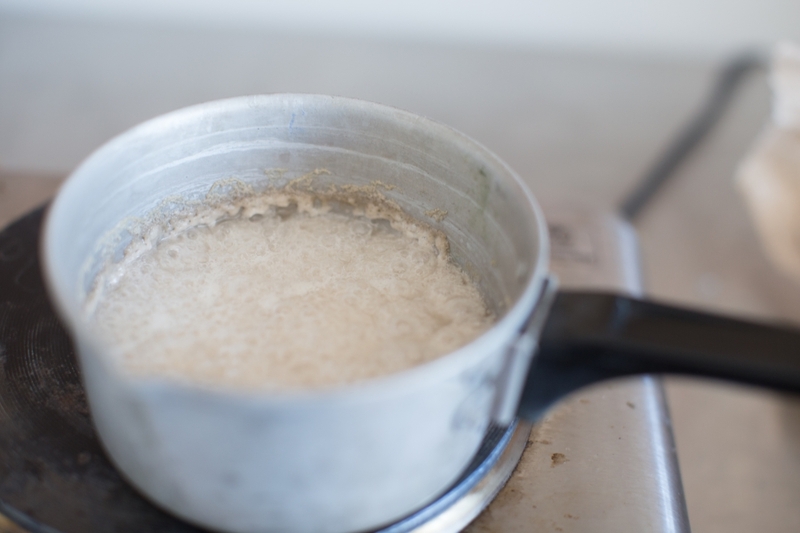 Put the coconut into a separate bowl, or discard; you won’t need the coconut water for extracting the oil. It is a great natural sweetener in smoothies though and it is great to just drink it, but what you do with it is completely up to you! 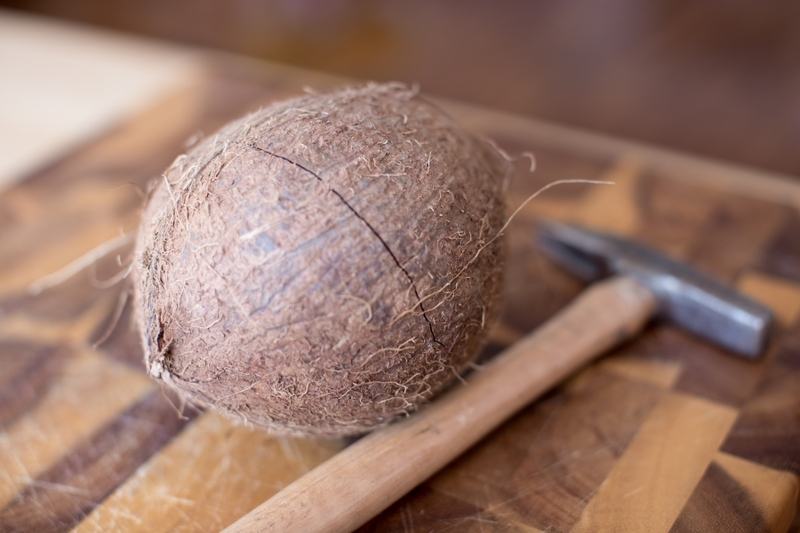 Step 2: To crack the coconut, take the blunt object of your choosing and hit it along the sides of the coconut, turning it as you go. You will start to notice it cracking, just keep going into you can pull it apart. I found it easiest to hold the coconut in my other hand while hitting it, you will make less noise and won’t damage your counter. Once you get the hang of it, it is really fun! Step 3: Once you have pulled it apart, you will have to get the meat out somehow. If you attempt to get the nut out while the coconut is in this state, you are going to be really frustrated, trust me. So after we have cracked all of the coconuts, we are going to throw them in the oven at 350 degrees for 15-20 minutes. Step 4: In the oven, you will notice that the nut is starting to separate from the shell, and there is likely a little browning happening on the meat, which is definitely OK. If they do not look as separated in the oven as they do in this picture, don’t worry, as they cool for a little white, they will pull away from the shell more. After they have cooled you should be able to pull the nut out. If it is not easily coming out, just knock the shell with your blunt object to loosen it. 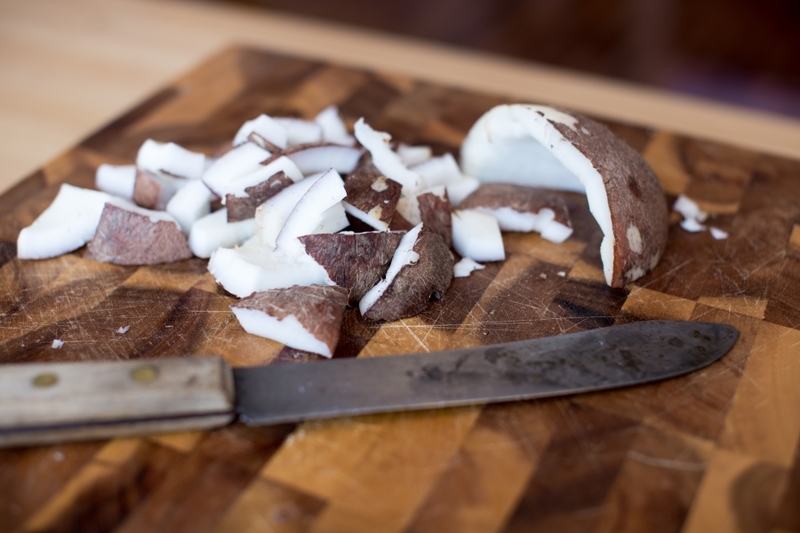 Step 5: If you are using a juicer or a blender, chop the coconut into small chunks. If you plan to use a hand grater, there’s no need to chop it since you will need to hold onto it. 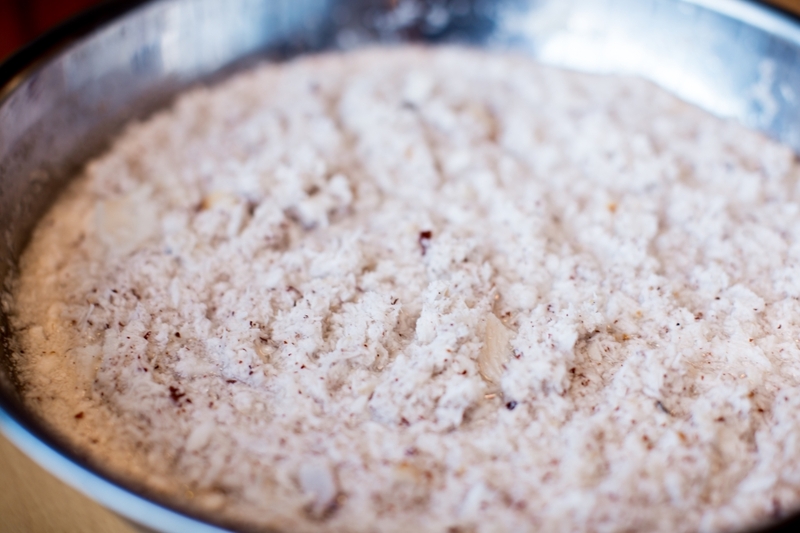 Step 5: It’s time to shred that coconut! 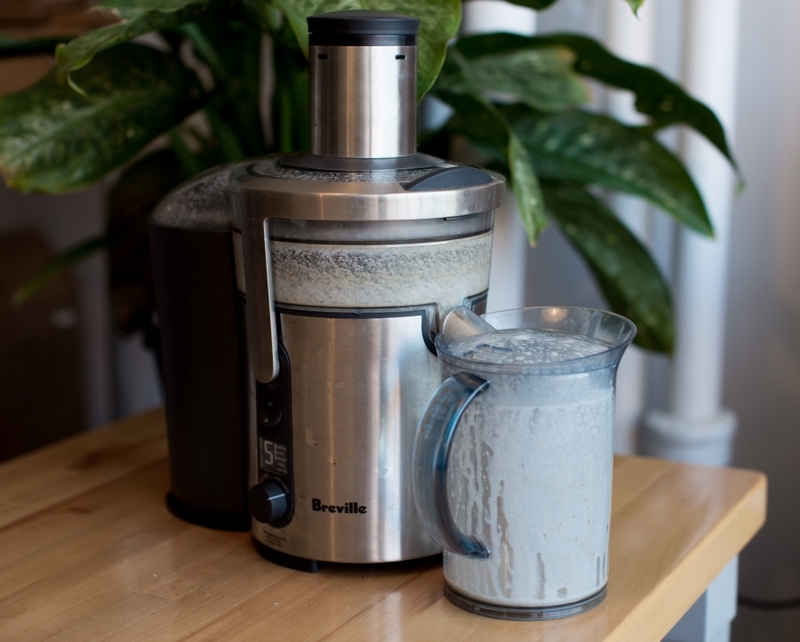 I used a juicer, since this machine is the fastest way to shred the meat. It is also really great at separating some of the liquids and oils from our coconuts – but it’s not going to do all the work for us of course. If you are using a grater or blender, just grind it all up, no need to separate the pulp from the juices yet! Pictured is just a half of a coconut juiced. 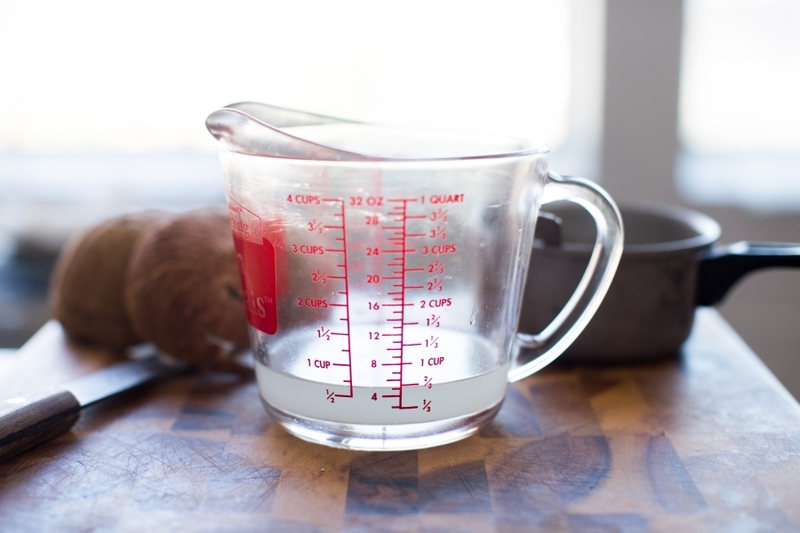 If you are not a juicer user, don’t worry, this cup of curd and oil moment is not necessary. Step 7: Juicers, blenders, and graters, we are all now on the same page. This shredded coconut is where it is all at. Coconut shreds you get at the store have already likely been processed, meaning they removed the oil, so it is not as tasty as what we have right here. 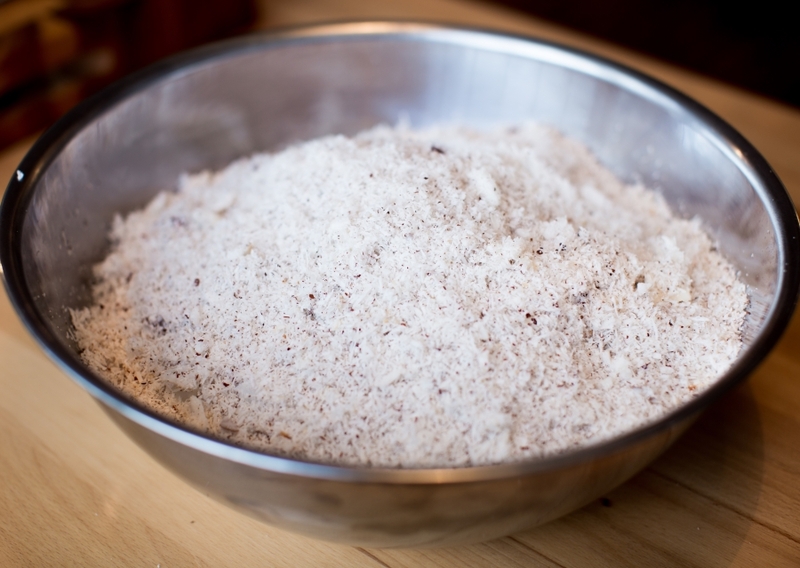 Step 8: We need to now add warm water (as warm as your hands can handle) into our shredded coconut. Not enough to completely cover it, but enough to saturate it. It should look like a bowl of oatmeal and cinnamon! The water is going to help us pull the coconut milk from the shreds. 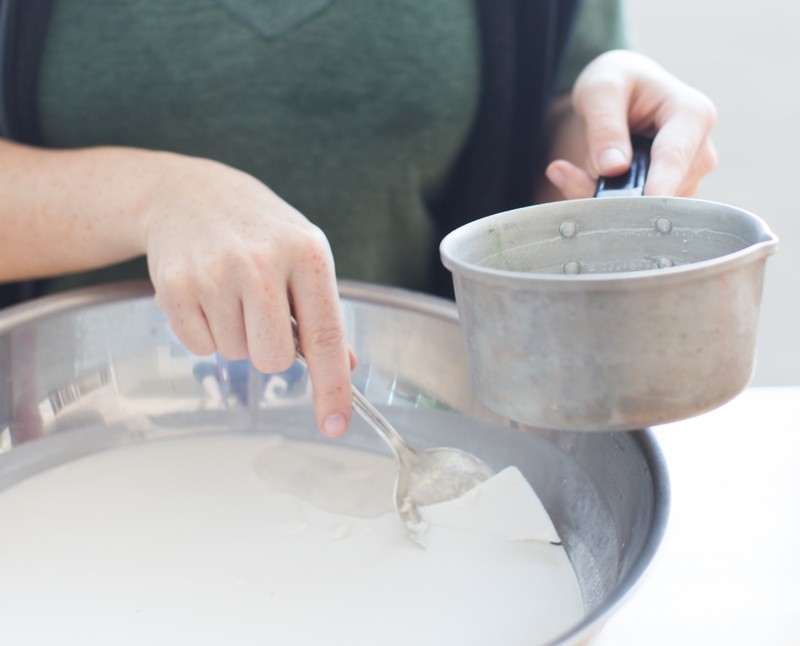 Step 9: It’s time to get our hands dirty and really “milk” the coconut. We are literally making coconut milk now. You want to spend 5 to 10 minutes just squeezing the shredded coconut to pull the oil out of it. 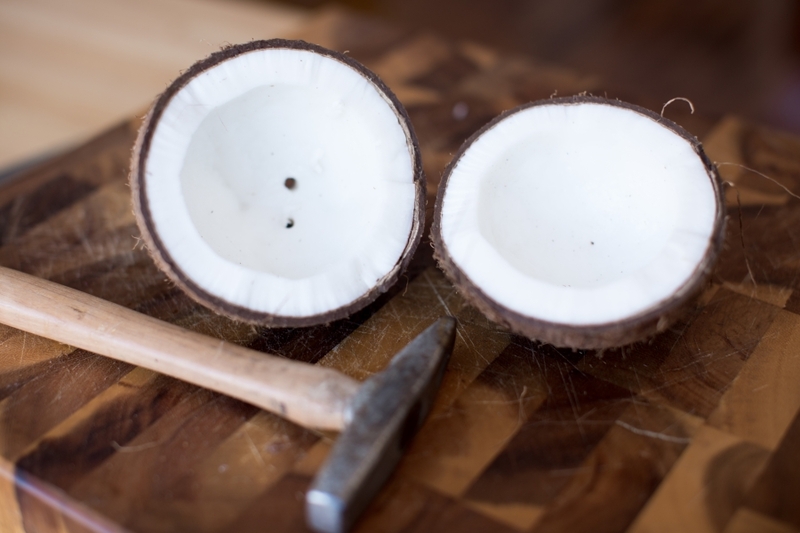 My favorite technique is what I call the “plunger”, where I would cup my hand and press the liquid out of the coconut. The longer you can do this, the more coconut oil you will get when we are all done, so I commend you if you can do this for more than 10 minutes. You will reap the rewards, I promise! 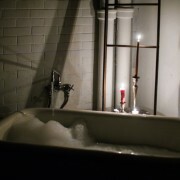 Step 10: Have your mesh or colander set up ready to go with another bowl. I made a little mesh bag from leftover fabric that I had. Step 11: Fill the colander or bag, it’s best to not do it all at once. 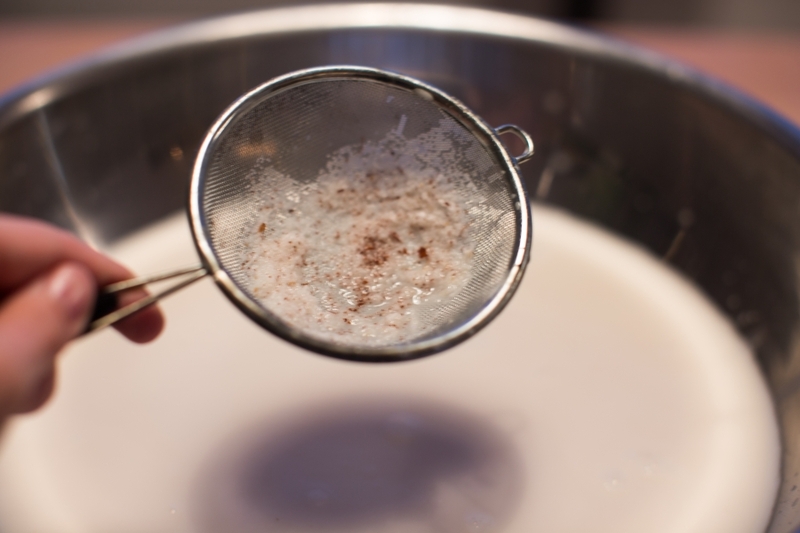 If you can focus on breaking up what you will be straining into smaller parts you will likely do a better job at removing the milk. Step 12: Squeeze like your life depended on it. We don’t want to waste a drop of that coconut milk! 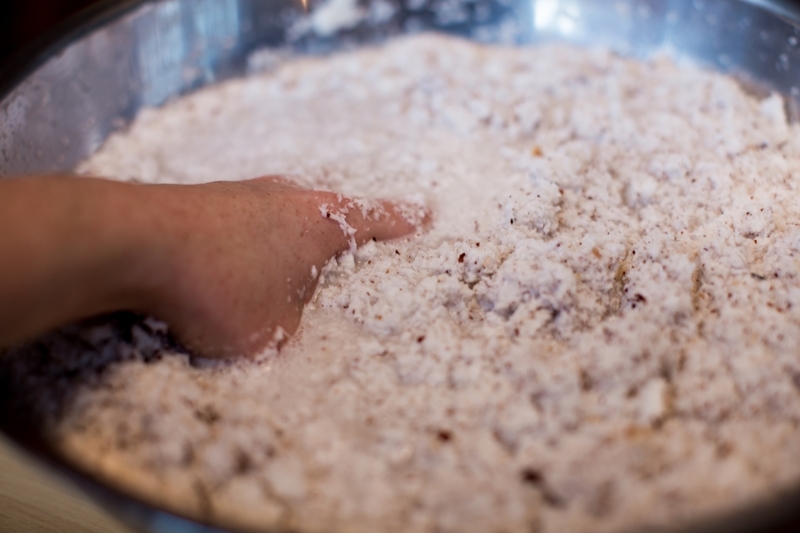 When you have finished milking all of your coconut shreds you can set them aside for baking, cooking, composting, etc. 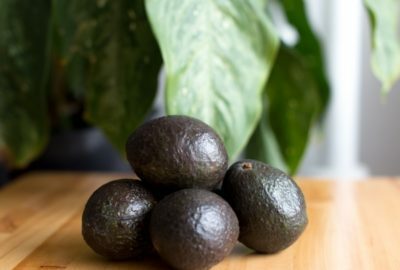 They will have a longer shelf-life if you spread them out on a baking sheet and toast them! Step 13: Now back to the coconut milk you just extracted from all of that coconut meat. I put mine through a fresh hand strainer to remove any bits of coconut that got past my mesh bag. Now that it is smooth, you can leave the bowl out and covered for 8-12 hours, so you can pretty much sleep on it. When you wake up it will be like Christmas. Note: If you are in a hot climate you may want to just put it in the fridge overnight! Step 14: You may not be able to tell in this photo, but after sitting for 12 hours my coconut milk has changed. On the top is a hard layer of coconut oil and curd, and under it is coconut water! Overnight it completely separated. Step 15: I bet you can see it now! We need to skim all of the solid bits off the top, doing our best to not scoop up water. I saved the leftover water to soak my rice noodles for Thai cooking! Step 16: Job well done! 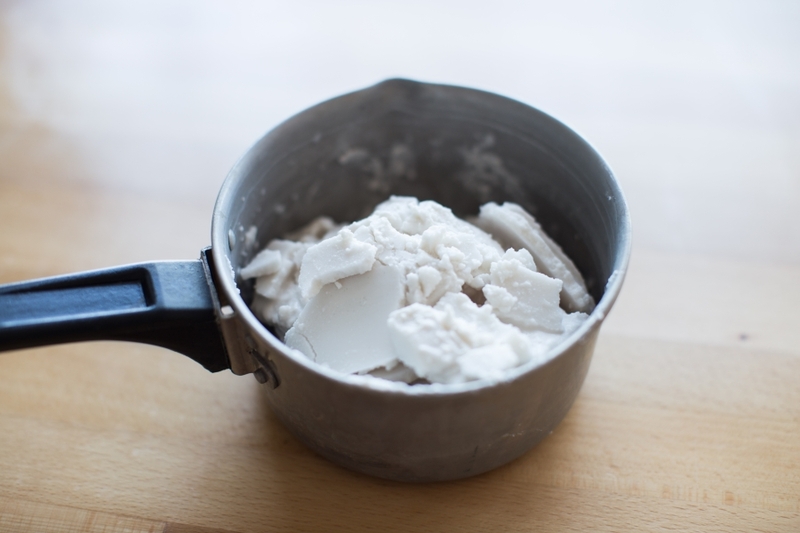 We scooped up all that coconut curd and oil! This is where some of you may want to stop, especially if you just want to cook with it. If you are frying with this oil, use a nonstick pan or the curd within the oil will stick to the pan. If you do not have a nonstick pan you will want to continue through with the last steps of the tutorial. Also, if you stop here the shelf life will not be as long, and you will want to keep it stored in the fridge. 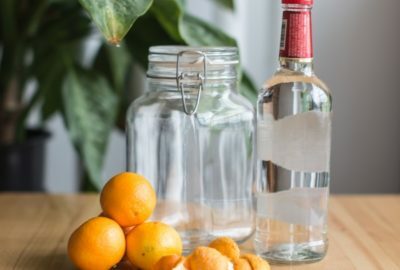 Properly stored in the fridge will give you about 3 months to use it. Keep reading if you want to separate the curd from the oil. 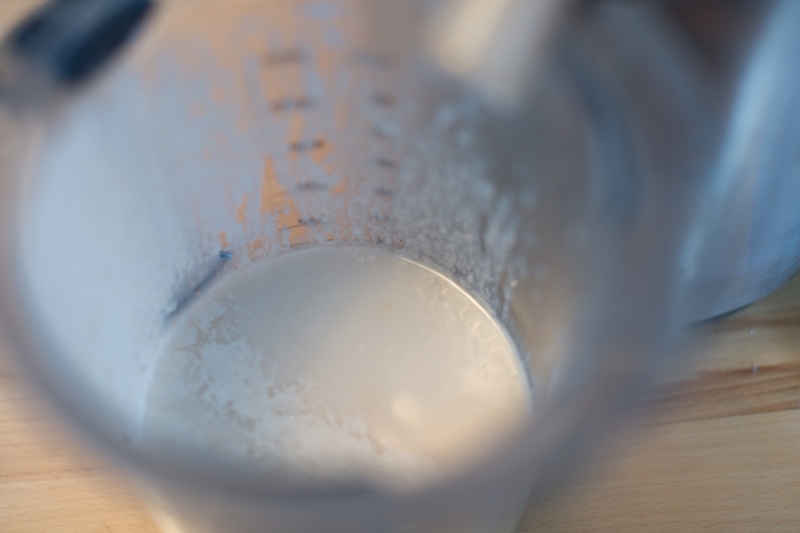 If you juiced the coconut oil, remember setting aside the curd and oil mixture? 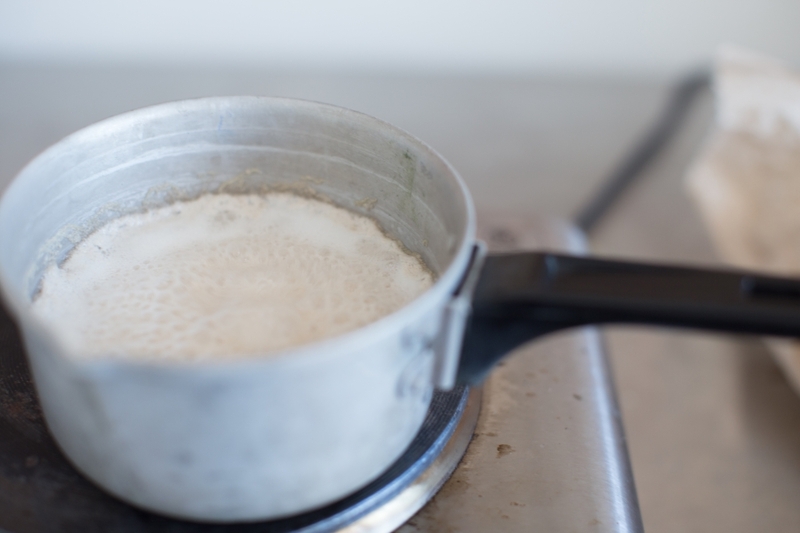 We can now add that to our pot with the rest – you will want to warm it a little in the microwave and pour it through a strainer before adding it to our other curd/oil mixture, due to the little bits of pulp that the juicer may not have removed. We did not add it back to ours, but kept it aside for cooking. Step 17: Put it on the stove top! 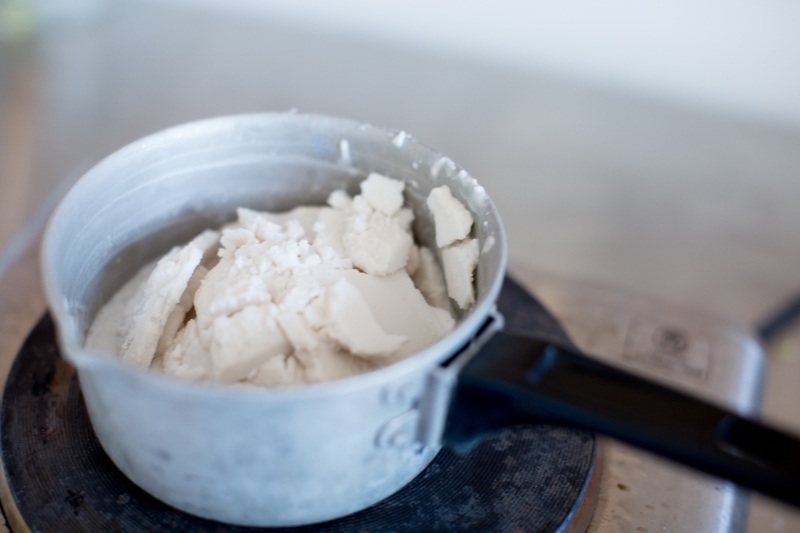 For pure virgin coconut oil, we need to remove any water that remains and separate the coconut curd from the oil. 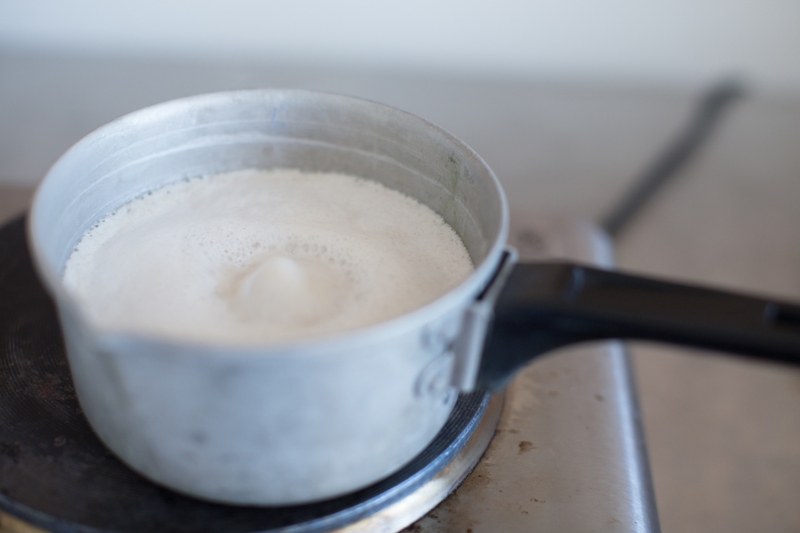 It’s going to need to boil at a medium heat to avoid burning it or scorching the curd; do not stir it during this process. 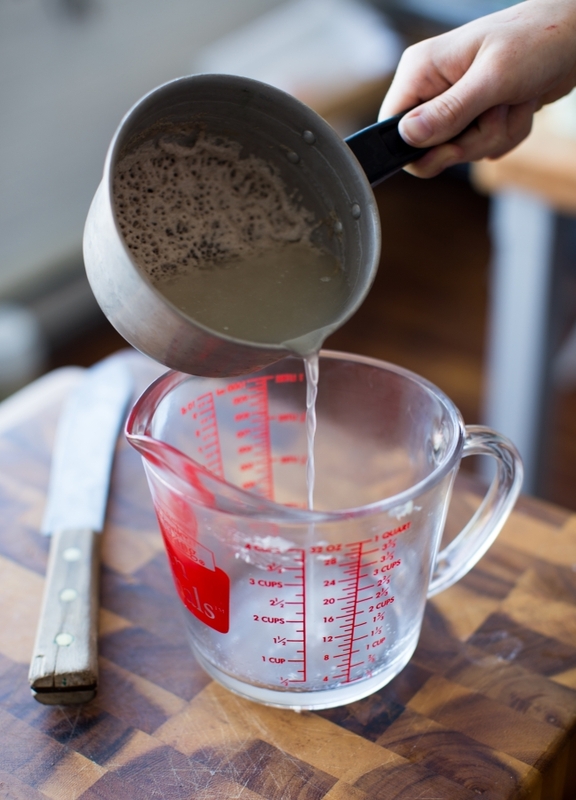 It should take about 30-45 minutes to separate, and you will know when it happens, since the curd will fall to the bottom and stick to the pan, and the oil will rise to the top, triumphant. Just keep your eye on it at all times, it will go through a few different phases! 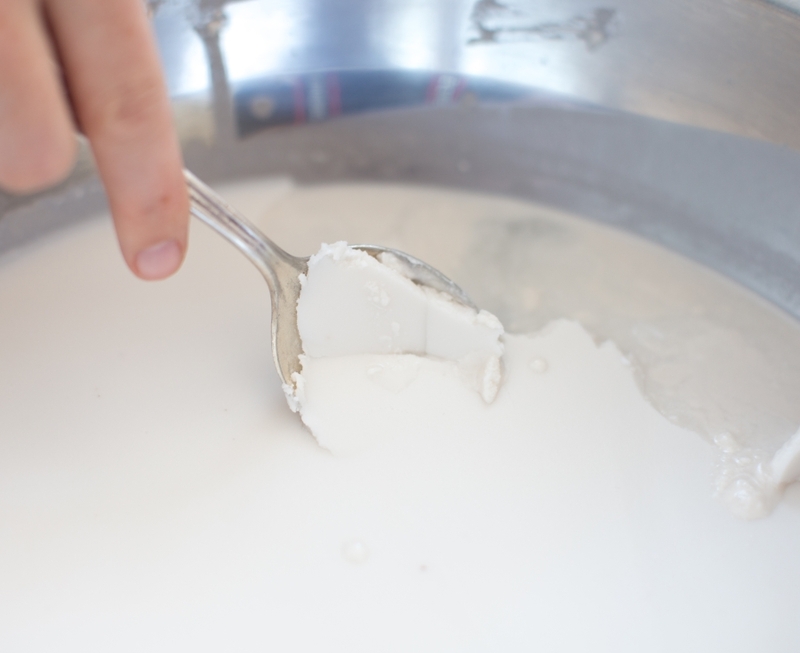 When the curd starts to stick to the bottom, reduce the heat a little so that it does not burn. 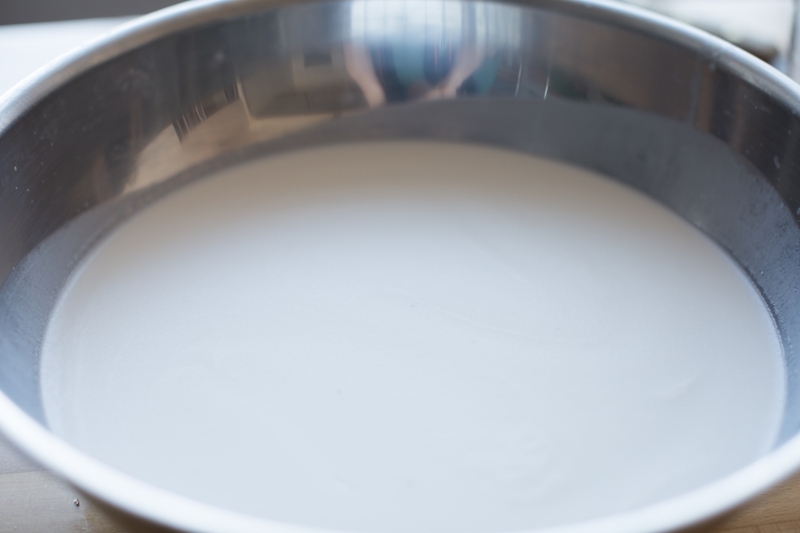 Step 18: The curd fell, so now we can easily pour off that pure virgin coconut oil! Check out this liquid gold! We got 2/3 cup of virgin coconut oil from the coconut milk we squeezed. If we had added our mixture we got from the juicer, I expect that we would have about a cup and a half from our 5 coconuts! 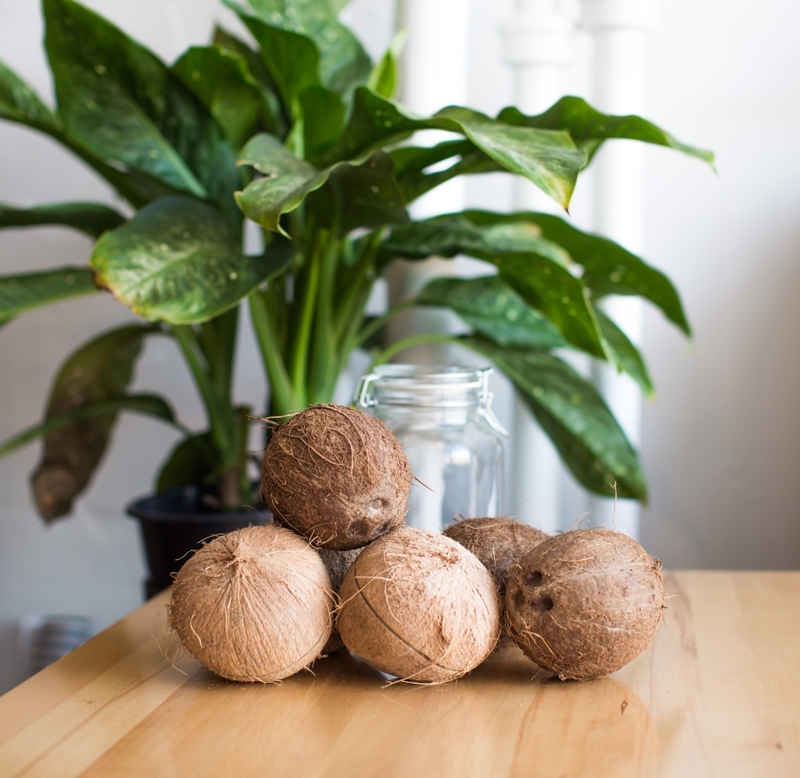 Your coconut oil may vary in color, from clear to a light yellow, so don’t worry if it does not look exactly like mine! If you have any questions, please feel free to ask! Also feel free to share this with your friends and family! I have been in Mexico where I was told that coconut oil actually comes from the seeds of the coconut. They are about the size of chocolate Easter egg but look like mini coconuts.